Tickets on Loco2 are available in British Pounds (GBP), Euros (EUR) and American Dollars (USD). The default currency depends on your location, but anyone can buy tickets in any currency. We'll show the symbol for the currency (£, €, $) in search results. And for the avoidance of doubt, once you add tickets to your basket you'll see a message which confirms the currency, for example, "You will be charged in Euros (EUR) for these tickets". It isn't possible to change the currency of tickets once they're in your basket. If you want to change the currency after selecting tickets, delete the tickets you have in your basket and create a new search with a different currency. We set prices using an exchange rate that is updated daily to make our prices as competitive as possible. We don't add any markup if you choose to buy tickets in their original currency. If you choose to buy tickets in another currency, we add a modest fee to secure ourselves against currency risk. 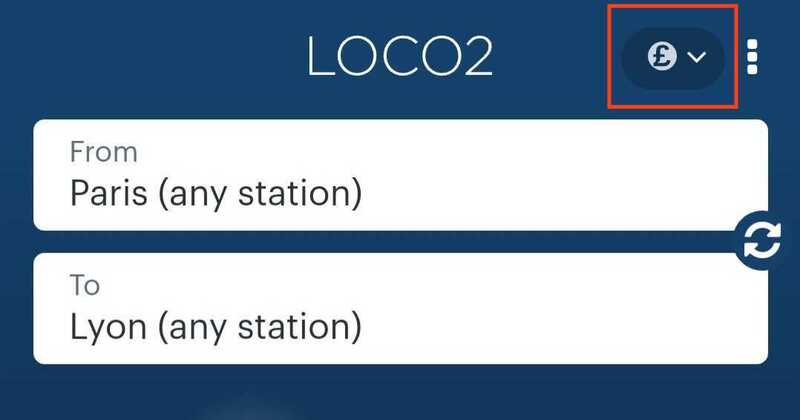 Most tickets on Loco2 are supplied by the rail operators in Euros. So, if you set Euros as your preferred currency, we simply show the original price. If you choose GBP or USD we convert the Euro price into your preferred currency using today's exchange rates. UK rail tickets are priced in GBP. If you set GBP as your preferred currency we simply show the original price. If you choose EUR or USD we convert the GBP price into your preferred currency using today's exchange rates. No tickets are priced by the rail operators in USD. 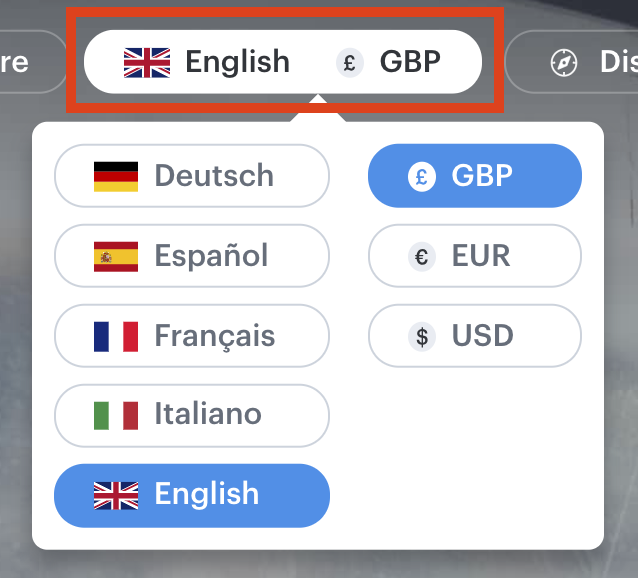 So, if that's your preferred currency, we'll convert tickets that were originally priced in Euros or British Pounds using today's exchange rate. A few tickets (e.g. Eurostar) are available from the operator in Euros or GBP. For these, we look up their prices based on your preference and don't carry out any currency conversion of our own. If you bank in a different currency, your bank will be responsible for setting the exchange rate and converting our prices into your currency. You can use a tool like xe.com to get an estimate (e.g. GBP>AUD or EUR>AUD) to work out which works out cheapest for you. Please be aware that your bank's exchange rates may differ from online tools, and they might charge fees as well, so it's best to check with them if you aren't sure how you'll be charged.